There are many messenger apps in the world.Of these, the facebook messenger app is the most popular.Many people use it.So the same messenger app is WooTALK. There are many messenger apps in the world.Of these, the facebook messenger app is the most popular.Many people use it.So the same messenger app is WooTALK.This is really an Instant Messenger app.Make chat with friends(Emoji), Data Voice & Video Call, Sharing Photo & Video (500Mb) From this app you can do some basic functions.So this is created by Sri Lanka. Because the basic option is only available, the ram is much less used on the phone.So you can use this without any problems.Data usage is also very low.That's why it's very useful for messaging and calling.Below are some screenshots of this app. You already have the WooTALK app to download from the play store on your android phone.Also, the builders said that they will be ready to release several Updates in this app.The Update will identify the currently existing bugs, and will work to give them more new features as well as solutions.If you have any questions, you can report them for this and help them develop this app. 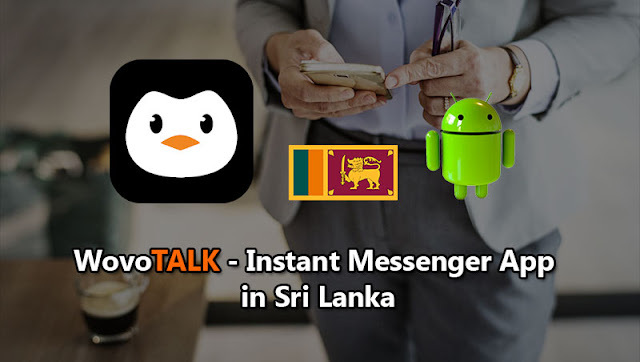 So you know about WovoTALK - Instant Messenger App in Sri Lanka, Hope you like the post, don’t forget to share it with your friends and leave a comment below if you are facing any problem at any step in the method discussed above.Thank you.